How do we raise the issue of breast cancer to children without getting them too scared? A few years ago, breast cancer advocates Bob and Linda Carey were trying to create a “Ballerina” image for breast cancer awareness in Northern Michigan when a uniform police officer and detective walked over to question their intentions. The detective explained they had received a call from teachers of an elementary school over hill. 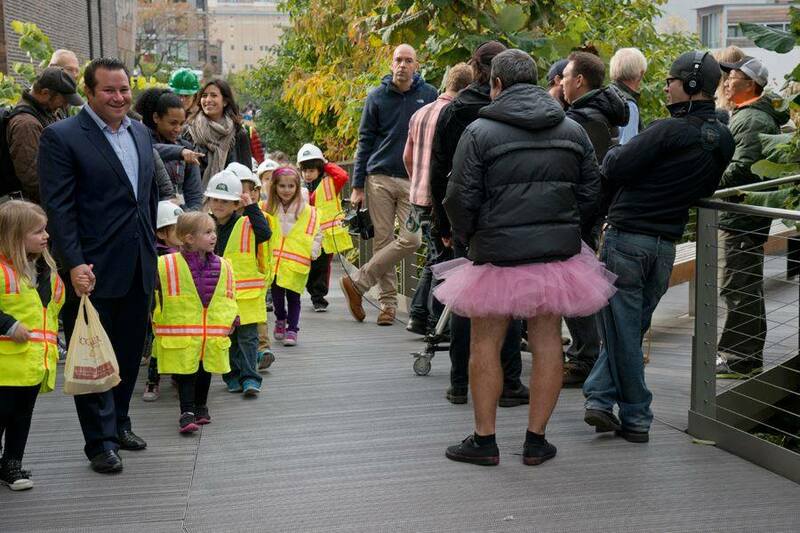 They were concerned for what the children would think if they “saw a big old man dressed as a ballerina”. Over the years we have learned that a child’s mind is very open, and they rarely judge Bob without asking questions first. What happens after they find out what we are doing? Well, yes, they laugh! But we have also heard many kids tell us that their mom had/has breast cancer and that it would be fun to find ways to make her laugh. While The Tutu Project can be a source for art therapy or escape through laughter, how do we treat the seriousness of a conversation about cancer with children? Plan out the conversation in advance. Seek the advice from professionals at your cancer center, oncologist or a therapist before talking to them. Don’t be afraid to read from notes! Make sure children know that the cancer isn’t their fault. Tell children how treatment for cancer will affect you and the family’s schedule. Let children know you will still make time for them. Reassure children that their needs will be met. Keep usual limits in place. Invite children to ask questions and learn more. Set a positive, optimistic tone without making promises. Let teachers, school counselors, coaches, and other caregivers know what is going on. Kids need to know that it is still okay to be happy, laugh and act like themselves when faced with illness in the family. Let them know that their smile makes you feel better, no matter the circumstance! There are also online resources, such as free support groups from CancerCare.org. They also have a wonderful resource called “Supporting a Loved One with Metastatic Breast Cancer” that caregivers should read as a resource. Some of these ideas were also sourced from Breastcancer.org. We highly recommend them as a reource. Visit them to find out more. Share your own stories and we’ll be highlighting your ideas throughout the year via our social media channels! Please tell us your story in the comments below to help parents and family members dealing with this issue right now. Do so, and enter our giveaway by using this link to participate! Three participating families will be randomly selected to receive a pink and blue tutu package, including postcards and stickers! My mom was diagnosed with multiple myeloma when I was 29 and my dad with lung cancer a year later. I had to explain to my 3 year old. But I really didn’t have to it’s like he knew something was wrong and he just loved them more. The more love helped the two of them fight even harder. It was my son that comforted me after my mom passed. he said it will be okay mommy just talk to her she can hear me. Hi! now that you have commented, let’s make sure you have entered your name into the Giveaway link! This is where we select the winners from! http://www.rafflecopter.com/rafl/display/652386d53/? When my mom was diagnosed I knew my daughter who was 10 at the time would have a lot of questions I couldn’t answer. We got a couple of books and read them than I let her go with me to my doctor and he really explained things to her. It’s helped her help some of her friends who have gone through it. Thank you for commenting! we shared your voice on Twitter and Facebook! We really think this will help others cope with the same issue. Sheila now that you have commented, let’s make sure you have entered your name into the Giveaway link! This is where we select the winners from! http://www.rafflecopter.com/rafl/display/652386d53/? 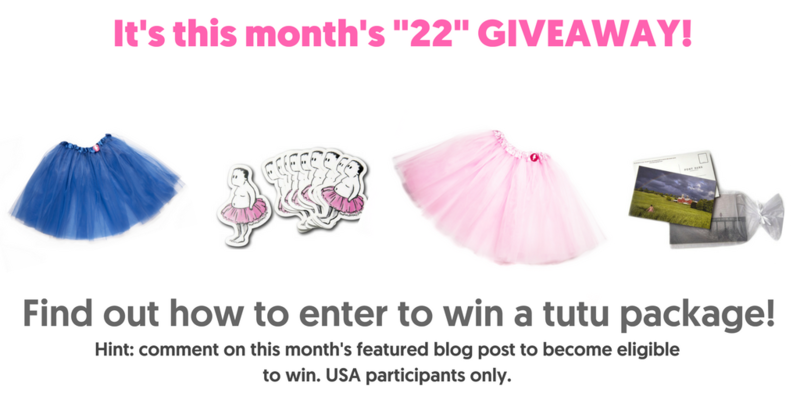 Sheila, we would love to send yo a tutu package but didn’t see your name in our Giveaway. If you are interested, reply to this comment and we’ll connect about your address! thank you. their smile makes you feel better, no matter the circumstance!” really hit home for me. I think it’s super important. Please don’t leave other adults out of the conversation. Teachers need to know what’s going on, too. Maybe we don’t need all the details, but it helps to be looped in, especially when other kids start asking questions. Good post. K Butler, now that you have commented, let’s make sure you have entered your name into the Giveaway link! This is where we select the winners from! http://www.rafflecopter.com/rafl/display/652386d53/? My two youngest boys were starting 4th and 6th grade when I was diagnosed. 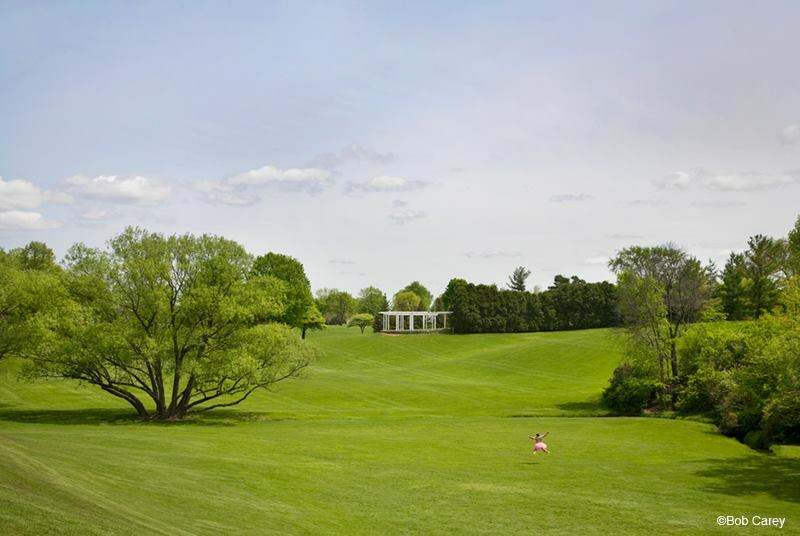 I had a radical double mastectomy first, then followed with a full year of treatment. I think for my boys it became “real” with the physical changes. They seemed most affected when I lost my hair. So I tried to explain to them in a way that they could relate..I told them that I was at war..like the “call of duty” game their older brother played..That the Chemo was the good guys, throwing bombs at the cancer. That my hair was gone because war is hard, and although it may not look like it we were winning. I was diagnosed over the summer, so I also made sure that their Teachers and Counselors at school knew what was going on and that my children knew that they could talk to them. Their School was wonderful and so very kind to my boys, I will forever be grateful to them. I have been in remission for a year and a half. Lori: this is such a wonderful story/comment. THANK YOU so much for sharing it with us and our community. May we share it as a blog post in the future? Also Lori, now that you have commented, let’s make sure you have entered your name into the Giveaway link! This is where we select the winners from! http://www.rafflecopter.com/rafl/display/652386d53/? This blog post is so important. My mother’s best friend received a breast cancer diagnosis when her children (that she had adopted and was raising as a single mother) were still small. This is not an easy conversation to have, but children have an innate sense when something isn’t right, and we owe it to them to be honest in a way that they can comprehend, while still allowing them to process news as children. Marie, thank you for the comment! now that you have commented, let’s make sure you have entered your name into the Giveaway link! This is where we select the winners from! http://www.rafflecopter.com/rafl/display/652386d53/? I would recommend to talk openly about this issue with parents and the children. As long as we treat them equaly it would be all fine. My father died on cancer a while ago. I was about 19y old, but the doctors did’nt really tell us (me and my mother) how bad it REALLY was. They only gave us hionts like “it would be good to spend as much time as you can” or “yes, you can visit as often as you want”. So shortly after he died we realised what they mean with those statements. I also do social work as a photographer for the help-portrait project and others and I learned that it is the best way to talk about it. When you talk about it you can understand it, you can manage it, you can feel it. THATS so much important.